Carolina Carjaval was one of 18 landscape architects from across the country who participated in the American Society of Landscape Architects (ASLA) 2014 National Diversity Summit in Washington, D.C.
Carolina is an Honors graduate of the Landscape Architecture program at the University of Connecticut and a native of Colombia. She joined CRJA-IBI Group’s Boston office in 2011, and has been a key team member on projects in the U.S. and abroad. 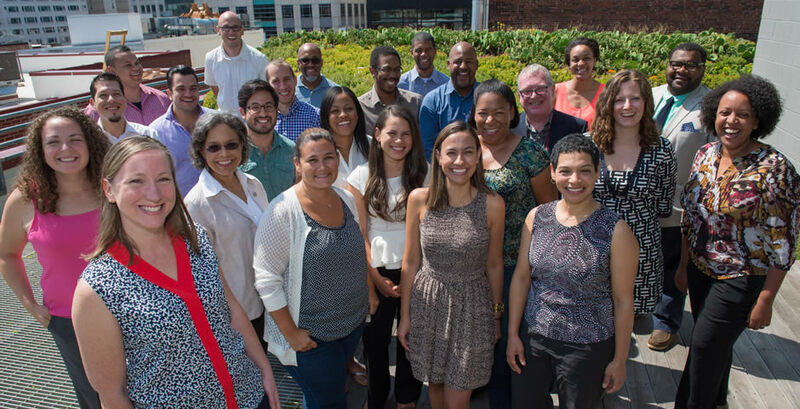 Increasing diversity within the profession is a focus of the ASLA; only 4% of ASLA students are Hispanic and only 1% are African-American. According to the most recent U.S. census, minorities are 37% of the general population, and will make up 57% of the population by 2060. Summit attendees focused on ways to raise public awareness in minority communities, provide early exposure to the profession for students, teachers, and parents, and create mentoring opportunities. They also designed the ideal mentoring track from grade school to seasoned professional. The summit was held at the ASLA Headquarters, where participants met with ASLA staff and got a tour of the building’s green roof. Participants shared their experiences entering the Landscape Architecture field and discussed their personal challenges and barriers to completing their education.